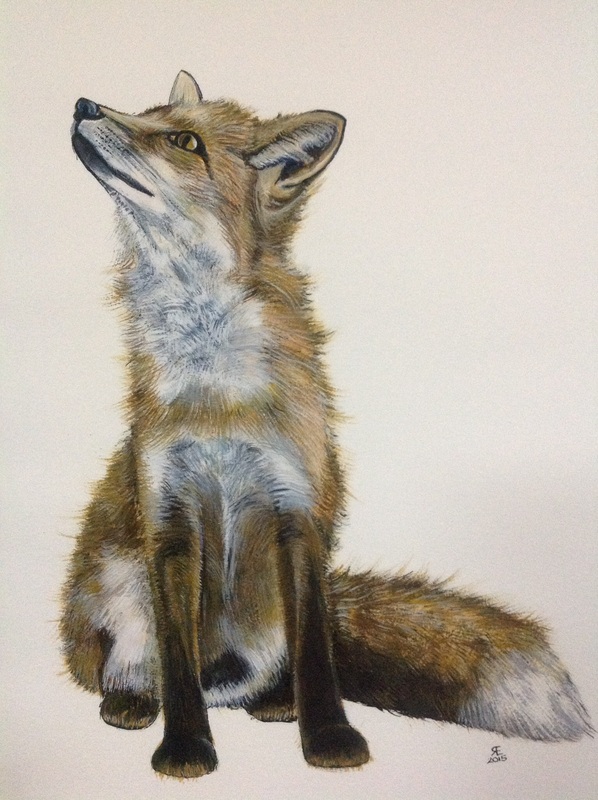 sorry for deviation…..what can I say, it’s a fox! Named after my fav childhood book, chicken licken…featuring, Foxy Loxy, Turkey lurkey, goosey loosy , ducky lucky and chicken licken….all because the sky was falling down, you can imagine how it ended? The way it would in nature, I am sure such books would be banned nowadays? Do you remember it? so here is Foxy Loxy- the sky is falling down. 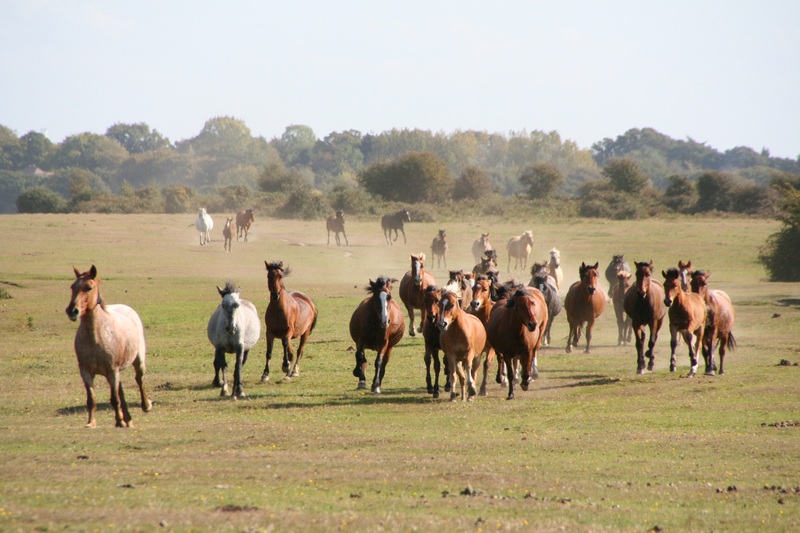 This entry was posted in art, drift, fox, Horse, new forest, Ponies, pony round up, watercolour and tagged art, drift, fox, Horse, new forest, painting, Painting, ponies, pony round up, watercolour. Bookmark the permalink. I remember the story well! Your fox is amazing, Foxy Lady! Beautiful. You can feel the texture of the fur. Don’t forget “Hansel and Gretel”. Fairy tales seem to dramatize our deepest fears. Oh yes, when I was young playing in the forest I used to hate the parts where the clumps of fur trees gathered, the dark eerie feeling……in case a witch piped out! But I always kept an eye out for the tasty sweet house, I think someone else had eaten it! No I never found it either. But I too had my scary moments. Still do, actually, although I’ve traded trees for city streets. Those city streets have a different beauty…….I have a passion for street scenes in art, but I don’t paint then myself, just buy them. Gorgeous watercolor of a fox. Thank you for leaving a comment on my blog. I really like your work! Thank you Leslie, I always love catching up with others, it is interesting to see what sort of things people get up to. I really like your blog, full of inspiration.